wheat; tiller; doubled haploid; immortalized F2; QTL. Effective tiller number is one of the most important traits for wheat (Triticum aestivum L.) yield, but the inheritance of tillering is poorly understood. 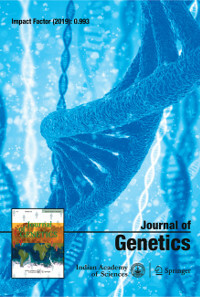 A set of 168 doubled haploid (DH) lines derivatives of a cross between two winter wheat cultivars (Huapei 3 and Yumai 57), and an immortalized F2 (IF2) population generated by randomly permutated intermating of these DHs were investigated, and QTLs of tillering related to the maximum tillering of pre-winter (MTW), maximum tillering in spring (MTS), and effective tillering in harvest (ETH) were mapped. Phenotypic data were collected for the two populations from two different environments. Using inclusive composite interval mapping (ICIM), a total of 9 and 18 significant QTL were detected across environments for tillering in the DH and IF2 populations, respectively. Four QTLs were common between two populations. A major QTL located on the 5D chromosome with the allele originating from Yumai 57 was detected and increased 1.92 and 3.55 tillers in MTW and MTS, respectively. QTLs (QMts6D, QEth6D) having a neighbouring marker interval at Xswes679.1 and Xcfa2129 on chromosome 6D was detected in MTS and ETH. These results provide a better understanding of the genetic factors for selectively expressing the control of tiller number in different growth stages and facilitate marker-assisted selection strategy in breeding.